Shooting in Havana. Courtesy of Jasper Benjamin Goldman. Based on interviews with planners, preservation officials, and residents of Havana, Havana Documentary explores the success of historic preservation in Old Havana and the planning issues that the city faces once the embargo ends and serious development pressure begins. From 1994 until 2004, nearly 400 buildings in Old Havana were successfully preserved, yet the lessons from this success are not yet widely understood outside of the preservation community in Havana. Further, with future political change, the city is likely to face enormous development pressure when land ownership and construction rules are relaxed. A broad consensus among the city's political community and citizens over a sensitive developmental path is critical to ensuring that it remains one of the most unique cities in the world. The documentary captures pivotal moment in Havana's history and highlights a path for it to remain an extraordinary city. Jasper Benjamin Goldman has been an urban planner and filmmaker since 2000. He holds a degree in city planning from MIT and has worked for the past five years as senior policy analyst for the Municipal Art Society (MAS), a planning and preservation non-profit based in New York City. His first urban-planning film was the 20-minute documentary From Hutong to Highrise, about the transformation of Beijing made between 2002 and 2004, and funded by MIT. The film screened in venues across the world. His second urban-planning film was a documentary about the future of the New York City waterfront made for MAS and entitled City of Water. The documentary was screened at over 40 venues around the city and on PBS. 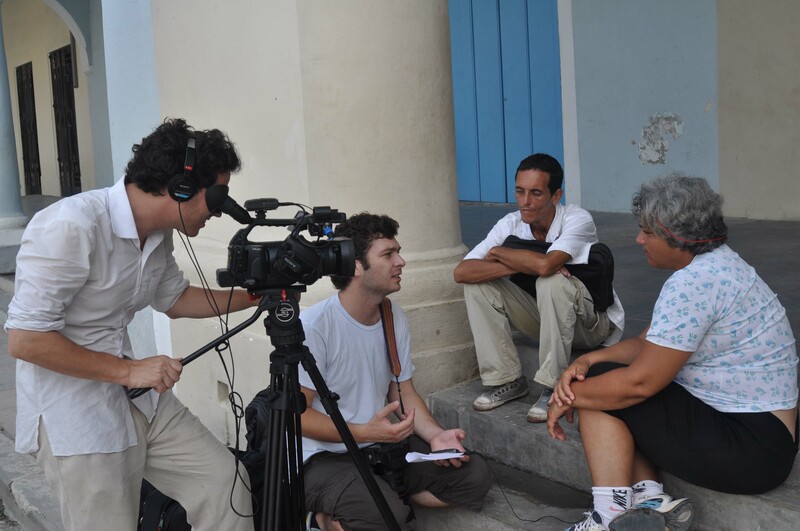 Goldman recently completed the short documentary Hablemos De La Habana Vieja for the Office of the Havana Historian about the five-year plan for Old Havana, and is now at work on a second documentary about Cuba's Historic Cities provisionally titled Reviviendo Los Centros Historicos De Cuba.